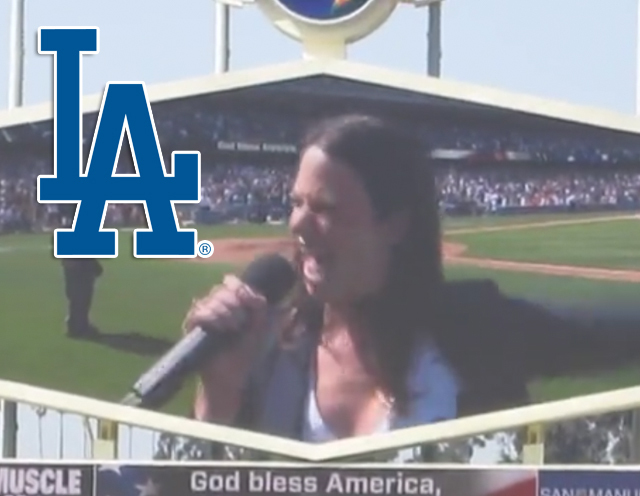 Katie Sings at the Dodgers Game! The Scandal cast takes over the Dodgers game! Kerry Washington announces the lineup, Bellamy Young sings the national anthem, Guillermo Diaz throws out the first pitch, and Katie Lowes sings God Bless America! …and the DODGERS WIN!